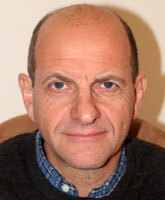 Dr. Paul Rivlin is a Senior Fellow at the Moshe Dayan Center for Middle East and African Studies, Tel Aviv University. Dr. Rivlin studied at Cambridge, London and Harvard Universities and is the author of five books: The Israeli Economy from the Foundation of the State to the Twenty-First Century (2010), Economic Policy and Performance in the Arab World (2001); The Israeli Economy (1992); and The Dynamics of Economic Policy Making in Egypt (1985); and as well as publications on economic development in the Middle East, energy markets, defense and trade economics. Paul Rivlin is the editor of Iqtisadi, the Middle East economics publication of the Dayan Center. He has served as visiting professor of economics at Emory University and has lectured extensively overseas.